Saltburn Gill is a narrow stream in a wooded valley in the area of East Cleveland, England. 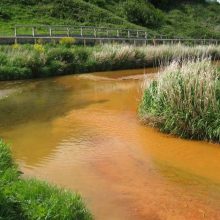 In 1999 a large, iron-rich mine water outbreak occurred which polluted Saltburn Gill and Skelton Beck, as well as discolouring a popular surfing beach. Drag the slider to reveal before and after images. 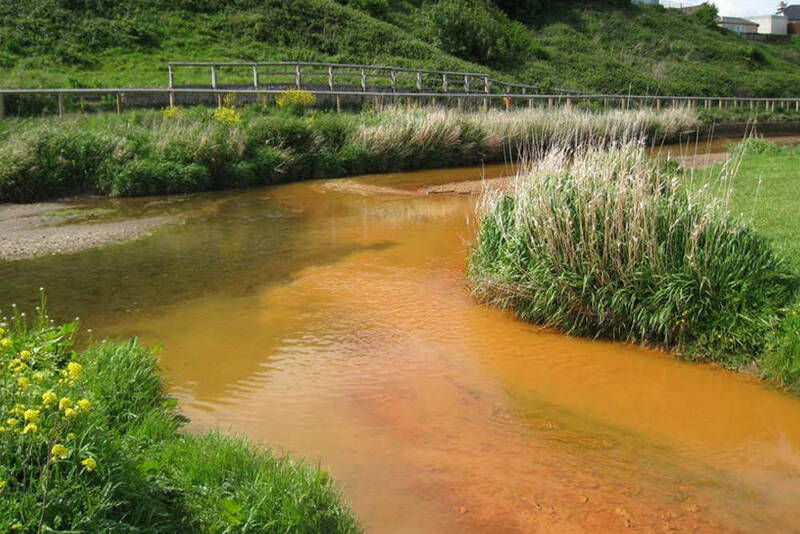 Following initial work by the local Saltburn Gill Action Group and the Environment Agency, the Coal Authority was invited to help develop and build a mine water treatment scheme in the area, which removes the iron contamination before it is discharged as clean water into the Saltburn Gill. 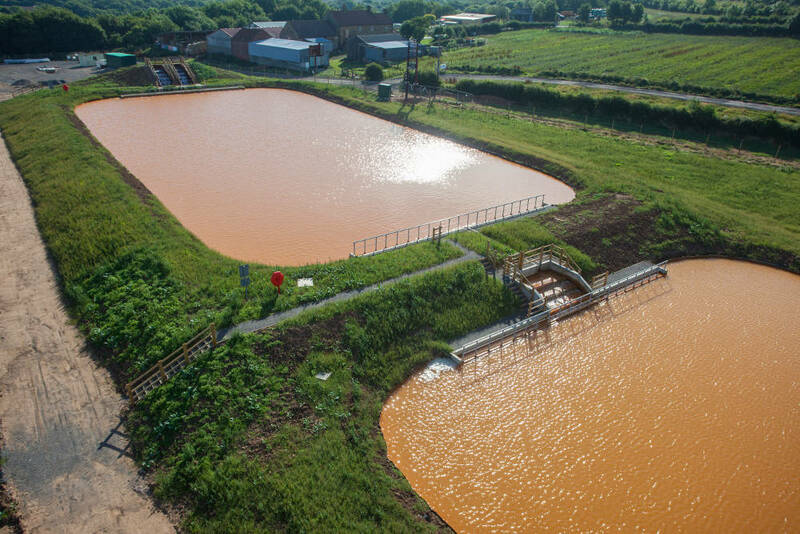 Phase 1 works included the construction of two lagoons with cascades and a drying bed for ochre sludge. Mine water is pumped to the top of the aeration cascades, where it flows down into the lagoons. Over a period of 1-2 days, the majority of the dissolved iron precipitates and settles. The ochre sludge is collected from the bottom of the lagoons and placed into the drying bed. We monitored the results from Phase 1, which showed the infrastructures were efficiently reducing the iron concentration between the raw mine water and the treated discharge by approximately 94%. 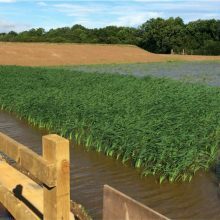 We used this information to assist with the design of Phase 2 works, which included the addition of two more lagoons and a polishing reedbed. 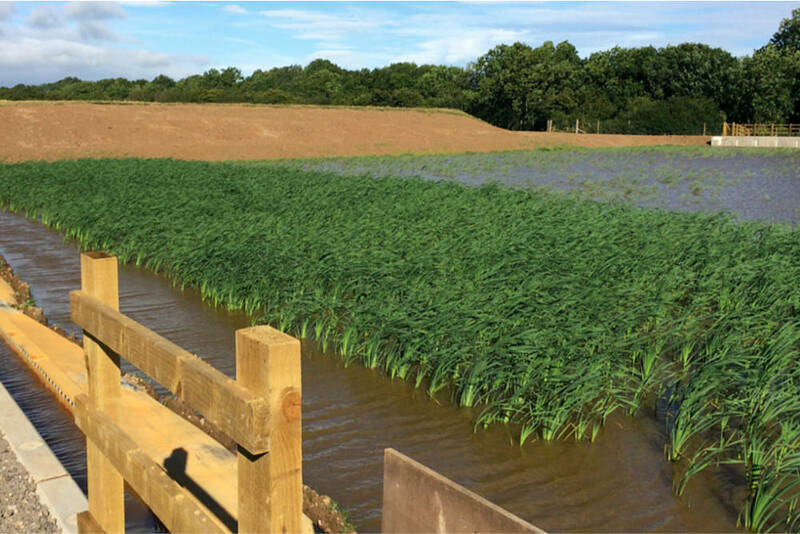 The reedbed acts to filter the remaining iron out of the water to a lower concentration. The area of East Cleveland in England has seen large-scale deep mining for over 100 years. When local ironstone mining operations ceased in the 1960s, the dewatering pumps were turned off and removed. The workings subsequently flooded and iron-rich mine water rebounded, eventually reaching ground surface level. 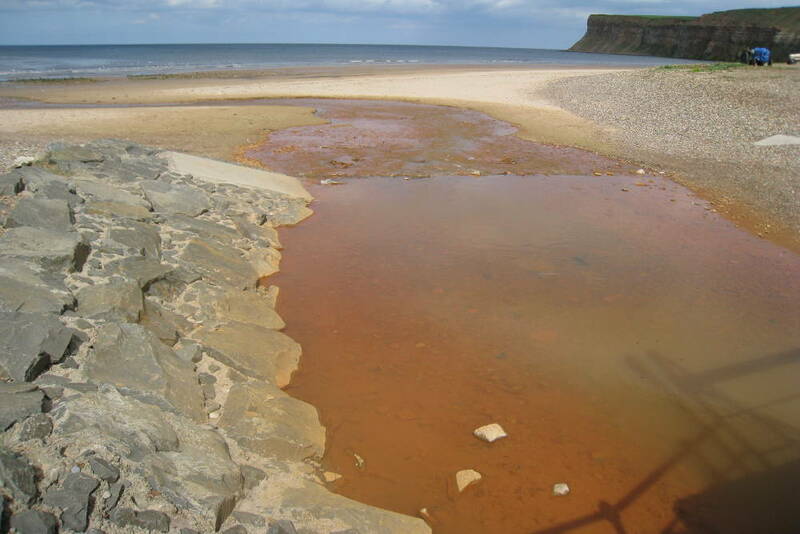 In 1999, a large mine water outbreak occurred at Saltburn Gill. This quickly turned the stream bright orange and smothered the downstream ecology. 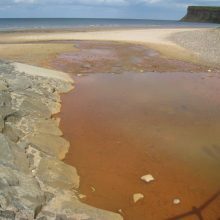 A large ochre plume was occasionally formed as this water joined the Skelton Beck in Saltburn, and flowed into the North Sea. 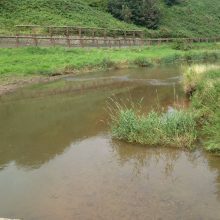 Saltburn Gill Action Group was established by the local community to raise the profile of the problem. 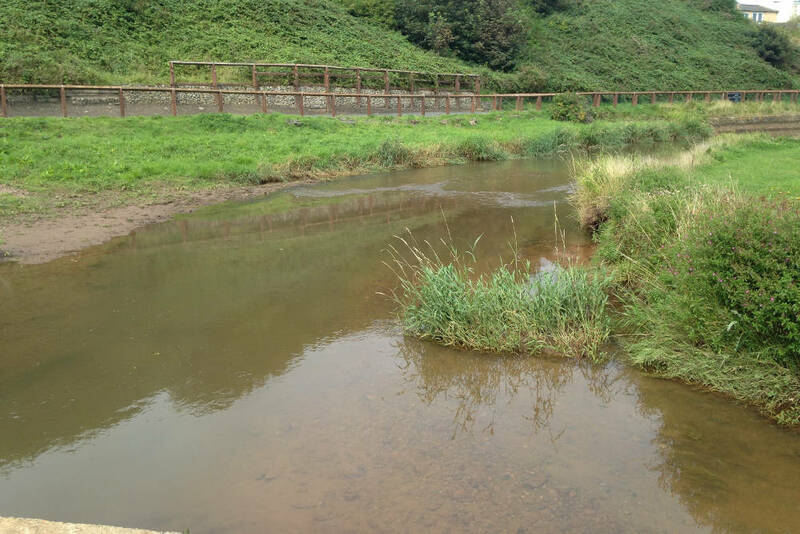 The group worked with the Environment Agency to obtain funding to investigate options to clean up the pollution, and together secured the necessary funding from the Department of Environment, Food and Rural Affairs to address the pollution issue for the community. We worked with the Action Group and other stakeholders to develop the treatment scheme. 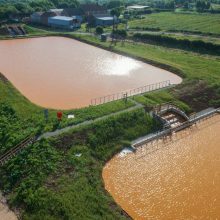 Our benefits assessment calculated that the total monetary benefit from preventing the discharge and treating the mine water is £10.5 million over 25 years.